Start the New Year by Staying Informed! If you’ve changed your phone number or email address recently, be sure to call the Ardmore front office at 425-456-4700 or send a note with your child so we have your updated contact information! J This will ensure that you receive important communications from Ardmore, including email blasts and School Messenger phone messages. Also, be sure to connect with Ardmore Elementary via “Remind” and “Twitter” to get instant notifications from the school! Information regarding how to sign up for Remind and Twitter are located below. Feel free to contact Principal Chas Miller with any questions! As many of you already know, Twitter is one of the easiest ways to receive information about important events/happenings! Sign up at https://twitter.com/ArdmoreTweets. 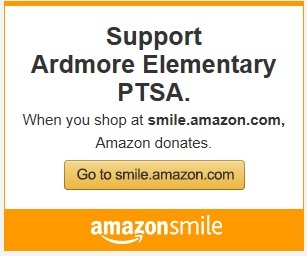 Remind is a simple way for you to stay informed with what’s happening at Ardmore Elementary. By joining Ardmore Elementary on Remind, you’ll receive instant messages via push notifications, SMS, or email. But don’t worry, your phone number will not be shared anyone! It is a quick and easy way to stay informed regarding important school events and emergency situations that may arise as school. There are 3 easy ways to get connected, simply follow one of the directions below to get connected! If you have questions, please feel free to contact Principal Chas Miller. 2. Or visit www.remind.com/join/ardmoree for a quick and easy sign-up.